Hutchison Port Holdings has tightened its grip on the Dutch waterfront by acquiring a majority stake in Amsterdam?s Ceres Container Terminals Europe. Hutchison Port Holdings has tightened its grip on the Dutch waterfront by acquiring a majority stake in Amsterdam"s Ceres Container Terminals Europe. Hong Kong terminal operator Hutchison Port Holdings has tightened its grip on the Dutch waterfront by acquiring a majority stake in Amsterdam"s Ceres Container Terminals Europe. 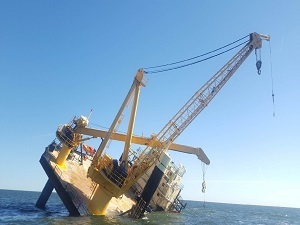 Hutchison has signed a share swap agreement with Japanese shipping group NYK, which gained full control the Ceres facility since 2006 after holding a 50% interest since 2002. NYK will retain a small stake in Ceres, and will also get a minority shareholding in Hutchison"s giant Europe Container Terminals in Rotterdam. The deal was revealed a few days after Hutchison acquired an interest in Evergreen"s Taranto terminal in southern Italy, with the Taiwanese group securing minority stakes in ECT and the UK"s Thamesport in exchange. The size of NYK"s two shareholdings has not been revealed, but no cash changed hands, said NYK Group Europe president and chief executive Masamichi Morooka. Unconfirmed reports put NYK"s retained stake in Ceres as 20% and its ECT interest at 10%. 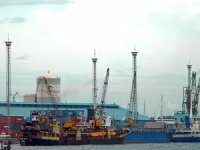 Ceres Container Terminals is the parent company of Ceres Paragon, which operates an indented berth capable of handling containerships from both sides. The innovative concept has fought to be accepted by the industry, with the facility not run at full capacity even when port congestion was at its worst a few years ago. 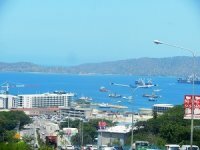 Ceres Paragon chief executive Pieter Bas Bredius will continue to report to the Ceres Container Terminals board, a Hutchison spokesman said. Mr Morooka also confirmed that the management should remain the same, with the transaction purely a share exchange at this stage. But Hutchison is expected to benefit from landside and other synergies that should be derived from owning the two Netherlands" container terminals. Ceres Paragon officially opened in the summer of 2001 but has struggled to attract users and was completely empty initially. In September 2002, a white knight arrived to rescue the terminal in the form of NYK, raising hopes that the Japanese line would use its contacts to bring business to the Amsterdam facility. But a protracted battle with founder and joint venture partner Christos Kritikos" over ownership prevented NYK from gaining full control of the facility until late 2006. NYK eventually persuaded its Grand Alliance partners to introduce calls at Ceres Paragon, but it was not until June 2005 that the arrival NYK Procyon marked the start of regular services. Persistent rumours that ECT would take a stake in Ceres Paragon have been circulating for some time, especially when congestion hit the port of Rotterdam and ECT was stretched to cope with growing volumes. 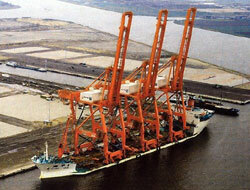 Speculation peaked in October 2007 when Amsterdam City sold the equipment it owned at the Ceres Paragon Terminal to NYK. It was felt that this move put NYK in a far better position, should it wish, to sell the Amsterdam terminal. Ironically, 2008 was expected to be a bumper year before for Ceres Paragon before the credit crunch hit. Mr Bredius earlier told that volumes would increase by some 20%-30% as the terminal welcomed the new EU5 Grand Alliance loop. The extra thrioughput was expected to see Ceres Paragon half full. In the nine month figures for Amsterdam port, container volumes increased by 18.4% to 323,680 teu. Earlier, the port authority had expected to achieve more than 450,000 teu by the year-end. Hutchison managing director John Meredith said the Ceres investment would strengthen the group"s presence in northern Europe through the addition of extra container-handling capacity. 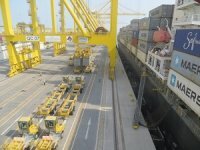 Qterminals Shattered New Cargo Handling RecordTerminal operating company QTerminals has reached major milestones by handling two million TEU and five million tonnes of general cargo by the end of October 2018, three times more compared to June 2017. 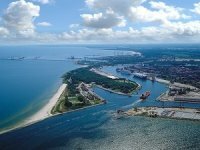 Turkish Port Request for BelarusIt has been asserted that building a Turkish Port in Gomel region, which is one the best location in Belarus, may transforms the country into a territory under water. 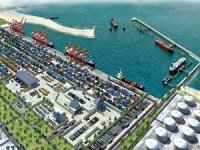 ICTSI Proposes Develop 2 Ports in PhilippinesInternational Container Terminal Services, Inc. (ICTSI) has submitted a proposal to the Philippine Ports Authority (PPA) to develop two ports in the country's Visayan islands. 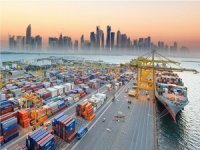 2nd Phase of Hamad Port to Begin in Early 2019The second phase of Hamad Port development is expected to be announced before the end of 2018 and launched by early 2019, Qatar media cited the country’s Minister of Transport and Communications. China, Myanmar Ink Deal on KyaukPyu PortMyanmar has signed an agreement with China’s state owned CITIC Group to start work on the deep-sea port in KyaukPyu, Reuters informed.